On a recent Saturday morning, I lingered over some fresh-brewed coffee at Abbott Square in downtown Santa Cruz. Being there made me think back over my long ago and casual acquaintance with Chuck and Esther Abbott. The Cooper Street gathering spot was dedicated to their memory in 1972. The Abbott name is well known in Santa Cruz historical circles. Chuck and Esther were renowned freelance photographers when they moved to Santa Cruz from Arizona in 1962. Their dramatic photos taken throughout the Western states had appeared in many prominent magazines of that day. Chuck took this photograph of the Casino and main beach in 1969. Their photographic record of the growing shopping mall craze engulfing the nation and its subsequent impacts on downtown communities, proved an ultimate blessing for our community. Having fallen in love with Santa Cruz, the Abbotts used their photographs in slideshow presentations to any interested group suggesting storefront and streetscape improvements to Pacific Avenue shops. They were visionaries in advocating how civic beauty could support downtown business. After almost ten years, their persistence evolved into the pedestrian-friendly Pacific Garden Mall renovation, a trendy 1970s renewal of Santa Cruz’s main street. You can view their slides through UCSC Special Collections & Archives Digital Collections page. They also spearheaded the restoration of downtown row houses, having revitalized one themselves on Lincoln Street. Being at the forefront of architectural preservation, they eventually rehabilitated many units on a block of that street. 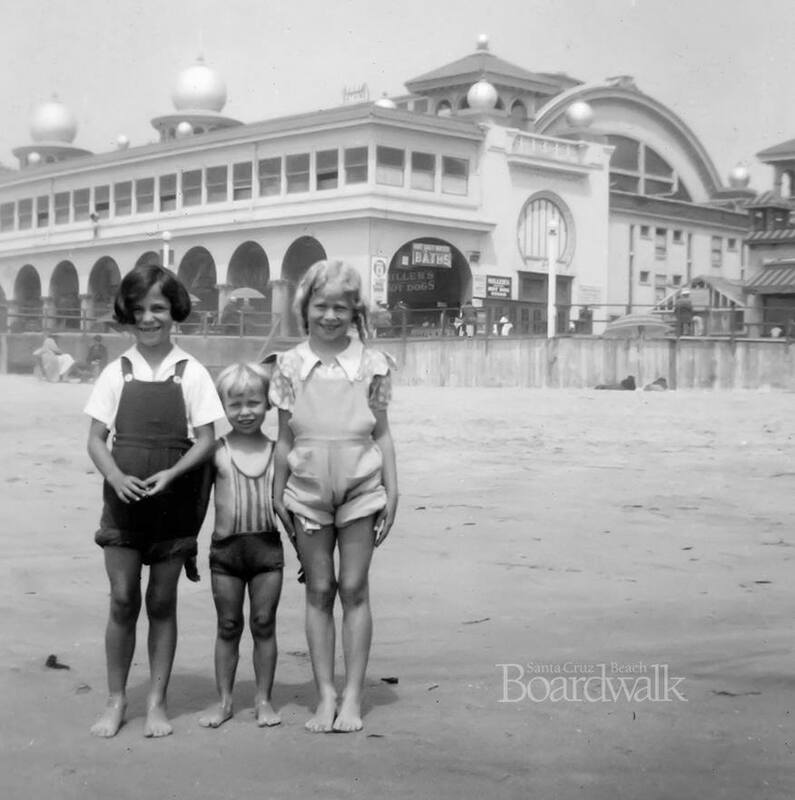 The Abbott’s connection with the Boardwalk is not as well known. Few people are aware they were Boardwalk concessionaires for a short time. They had been intrigued by the amazingly popular Belgian Waffles they observed and tasted at the 1962 Seattle World’s Fair. Their enthusiasm caught the attention of Seaside Company management who approved their desire for opening a new Boardwalk food concession. In the summer of 1963, their "Danish Pastry" stand came onto the Boardwalk scene. At that time, it was located next to the Wild Mouse ride, now where the Logger’s Revenge pond sits. How or why "Belgian" waffles became "Danish" pastry I don't know. I remember Chuck as a kindly, soft-spoken gentlemen who looked like he just stepped out of the Old West. I don't recall seeing Esther at the Boardwalk much, but I did later get re-acquainted with her when I served on the Salvation Army Board of Directors, an organization to which she committed many volunteer hours. You can listen to her oral history interview through the UCSC Regional Oral History Project. I vaguely remember their teenage son Mark, who helped out at their concession. While their stand featured a particular Danish Delight for 15¢ (other than being sugary, I forget what that was), I distinctly remember them concocting waffles – chocolate, strawberry, coconut, and "sugarette" – with whipped cream and those tasty toppings, all in the view of their customers. I tried all of them! Chuck often invited me to stop by his stand near closing time at night for my choice of left-overs - waffle treats, smothered in whipped cream and fruit topping - that I could make myself! What a delight! While I snacked, Chuck told me many stories of his photographic adventures. I was oblivious to his national acclaim and professional stature then. The Abbott’s future impact on Santa Cruz was yet to unfold. I distinctly remember savoring my waffle concoction while he regaled me with stories of his vivid exploits. In 1965, while just a senior in high school, their son Mark died in an untimely surfing accident at Pleasure Point. The family’s tragedy shocked those at the Boardwalk who knew Mark or his folks. Chuck and Esther funded the Mark Abbott Lighthouse at Lighthouse Point in his memory. Soon after, the Abbott’s closed their pastry enterprise. Actually, I don’t think their product had really ever caught on with Boardwalk visitors. The location was taken over by the adjoining Mexican food stand operators, Earl and Dorothy Meyers. Abbott Square in downtown Santa Cruz is a memorial to Chuck and Esther’s Santa Cruz legacy. Their Boardwalk legacy resides in the memories of anyone who remembers their short-lived and tasty "Danish" (or "Belgian") pastry treats. Does anyone recall these tasty delights?